25/08/2014 You depend on rocks for many things so wouldn’t it be nice to know more about them? This application provides a starting point for learning about rocks without being a course in geology. 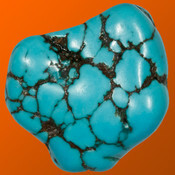 A small collection of common rocks is provided with photographs and descriptions. There are five quizzes of increasing difficulty, that you can use to test your knowledge about rocks, before or after, looking at the information provided. 25/08/2014 Mobile Virtual Petrographic Microscope - a free virtual petrographic microscope application which allows users to examine and explore minerals and rocks features. 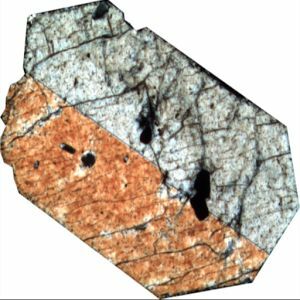 mVPM makes mineralogy to be easier to examine a thin section and to understand the characteristic properties for each mineral without a petrographic microscope, which is known to be very expensive. It is mainly addressed to students as a guide in individual or supervised laboratory work. 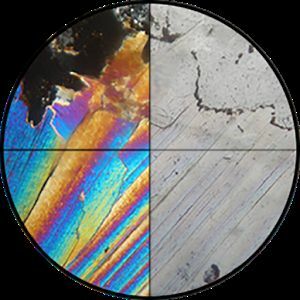 25/08/2014 This App is a teaching tool for university students who take up the study of minerals and rocks in thin section for the first time, through the use of a polarized light microscope. The start screen allows you to access different functions, helping the students to make some optical determinations on the minerals under the microscope, but also to observe some minerals and rocks among the most widespread in nature, under natural and polarized light. 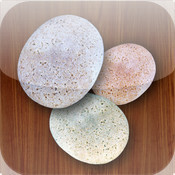 26/08/2014 'easyLearn Rocks & Minerals HD' is a fun & interactive app for kids to learn about Rocks & Minerals found on Earth. Lots of real-world pictures & simple facts along with quiz formats based on pictures & clues, give the kids a great visual understanding of the topic. This App can be used as part of earth-science curriculum in upper elementary and middle school classrooms, in the homeschool environments, as supplemental learning at home & as reference material by teachers.